Our design specialty is Timber Frame custom residential homes and cottages, but our flexible approach and over 30 years of experience has seen the completion of a wide range of construction projects including our own timber frame head office, residential buildings, resort area or remote island homes and cottages, commercial motels, hotels, bed and breakfasts, and recreational club houses. We are Timber Frame and Post and Beam design experts! We have saved numerous clients THOUSANDS of dollars on designing versus using a Architect. We have 5 full time designers ready to serve you with a wide range of design services. We know that it takes time to develop a home plan that reflects your personal tastes, and meets your building objectives. Whether you are trying to capture the right view, create an open concept plan, bring the outdoors inside, or be focused on practical and functional aspects, its worth the extra effort to design a home that you will use now and in the future. You can count on our experienced in-house design team and professional architectural services to provide the right level of design support. 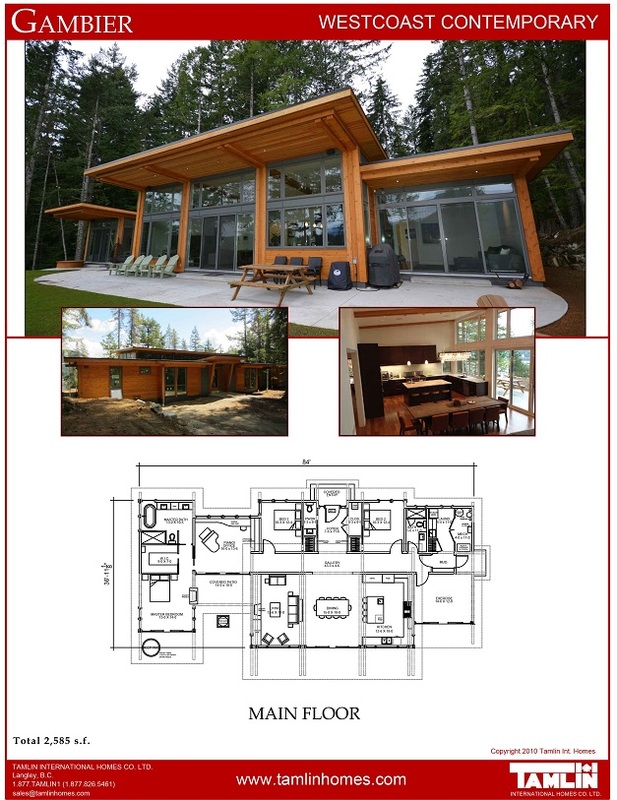 Tamlin designs its own unique Contemporary West Coast Style custom wood framed, post & beam, and timber frame buildings. Our hybrid approach involves incorporating post and beam construction or timber frame joinery with conventional framing. We also integrate various building enclosures , insulation systems, prefabricated components, ready to install materials and efficient construction methods which are carefully designed and engineered. Our plans are accepted as one of the most detailed and comprehensive in the industry. 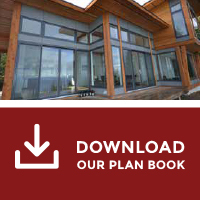 Are you looking for a 'Hybrid" Timber Frame style?